In Ayurveda (an ancient holistic wellness practice used to treat several conditions), ama (toxins) are thought to be the root cause of disease. In order to maintain health and balance, you need to periodically remove these toxins from your system. How do you know if you have toxins? Kiera Nachman, Founder of Sundara Holistic says they manifest themselves in the form of a thick white coating on the tongue, sluggishness after eating, foggy thinking, or joint and muscle aches. Shrankhla Holecek, Ayurvedic expert and UMA Oils founder, adds that in Ayurveda, toxic cleansing is the first step in any treatment—"be it for acne or depression." And while Holecek says Panchakarma is the "crown jewel" of ayurvedic detoxes (and can sometimes include a 5- to 7-day stay in a facility, therapeutic vomiting, and oil enemas), she loves that there are a ton of daily detox practices you can do yourself at home that aren't nearly as intense as, erm, inducing vomit. Below, Holecek and Nachman share their favorite ancient Ayurvedic detox treatments you can easy incorporate into your routine. Keep scrolling for their tips! "Our tongues can become notorious hotbeds for bacteria accumulation if not cleaned properly," says Holecek. "Ayurveda recommends tongue cleaning morning and evening, ideally with a scraper. 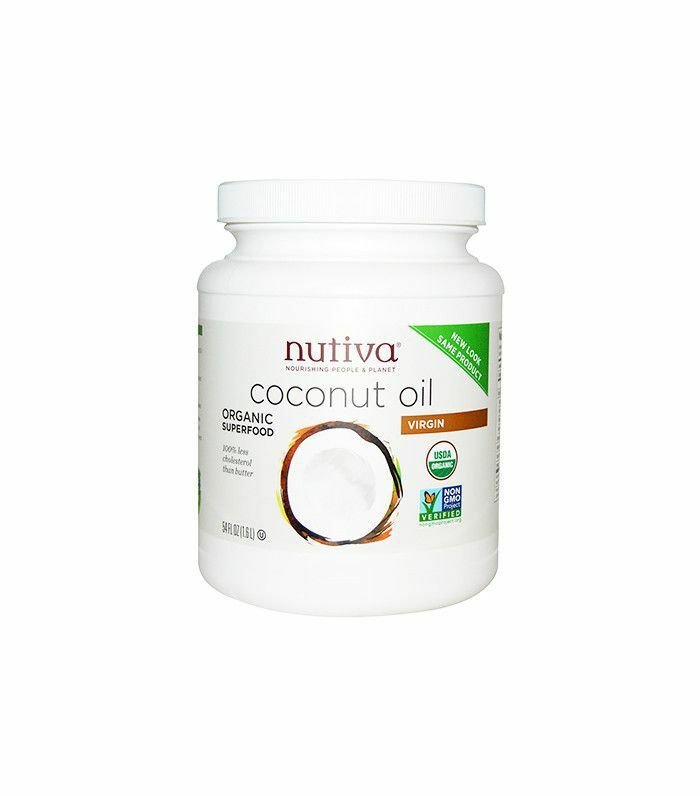 When you can, practice oil pulling—this is amazing for your teeth and gums and a surefire way to really pull deeply embedded toxins out. Swish coconut or sesame oil around your mouth and spit out into a cup (avoid spitting into the drain!). I do it in the shower to save me time." 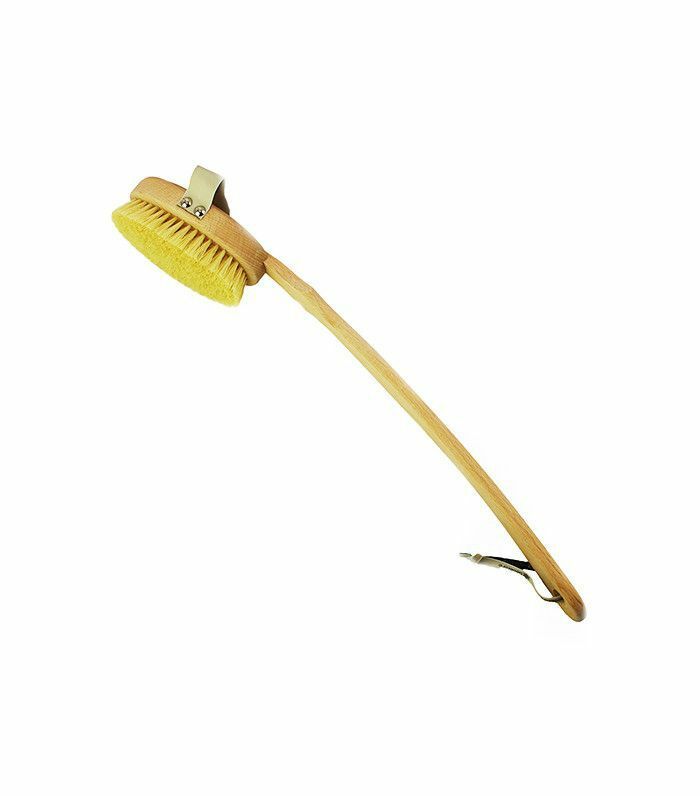 Using a body brush with vegetable bristles, Holecek recommends starting at the ankles and dry brushing your skin in circular motions toward the heart to stimulate limbic drainage and even diminish cellulite. After showering, follow up with UMA Oils Absolute Anti-Aging Body Oil ($90) to hydrate and nourish the skin. Holecek says to start your day with a warm cup of water and squeezed lemon. This helps kick-start your digestive system and rids the esophagus of toxins that have built up overnight. 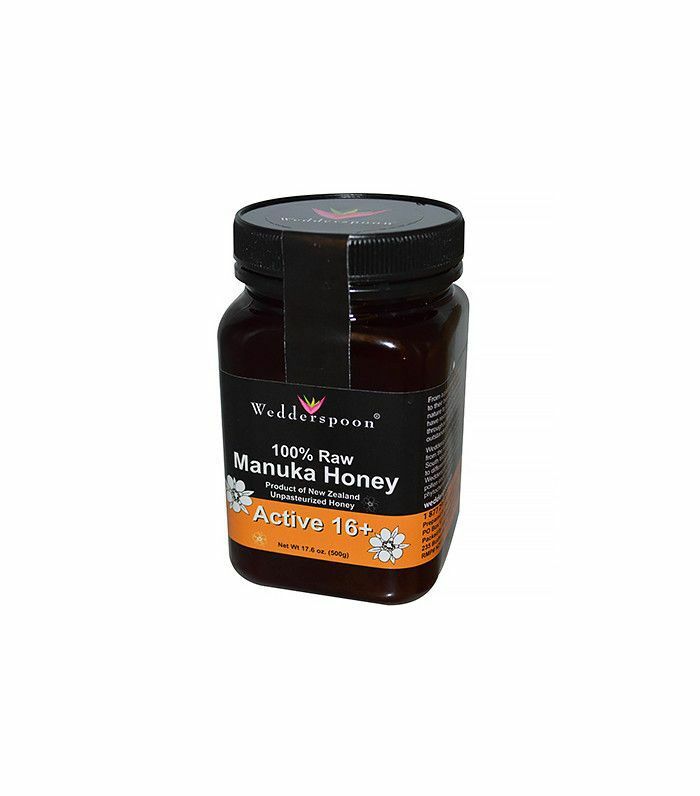 "Sub honey for facewash in the morning for a beautiful face detox," Holecek says. 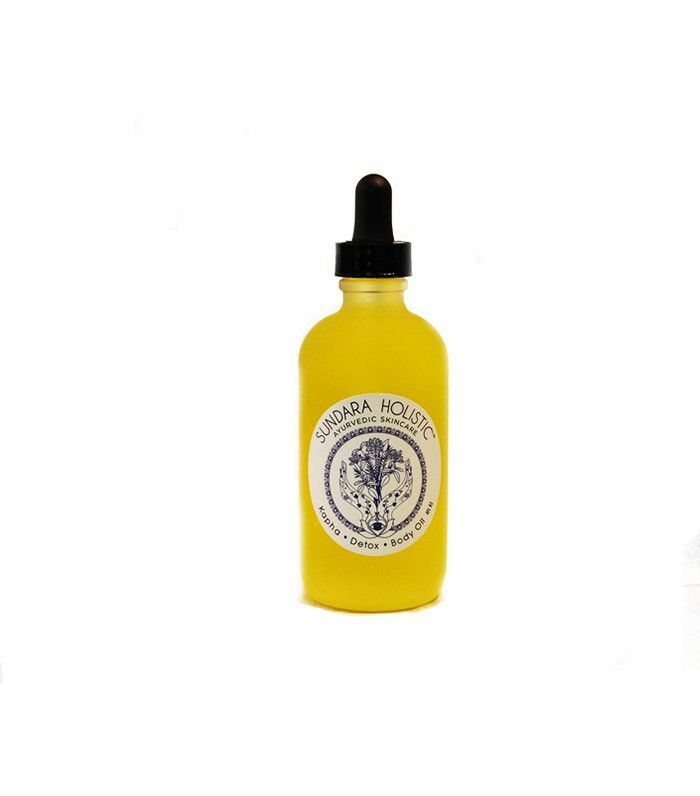 "You don't need a pH-disturbing soap wash if you cleanse well at night, and honey, with its deeply anti-inflammatory and anti-bacterial properties, can deliver hydration and glow. I layer a spoonful on before jumping into the shower. Let the steam go to work, and as the last step in my shower, I remove it with a clean, warm washcloth. I then do a quick final rinse with cold water. If you struggle with rosacea or eczema, this might just change your life!" 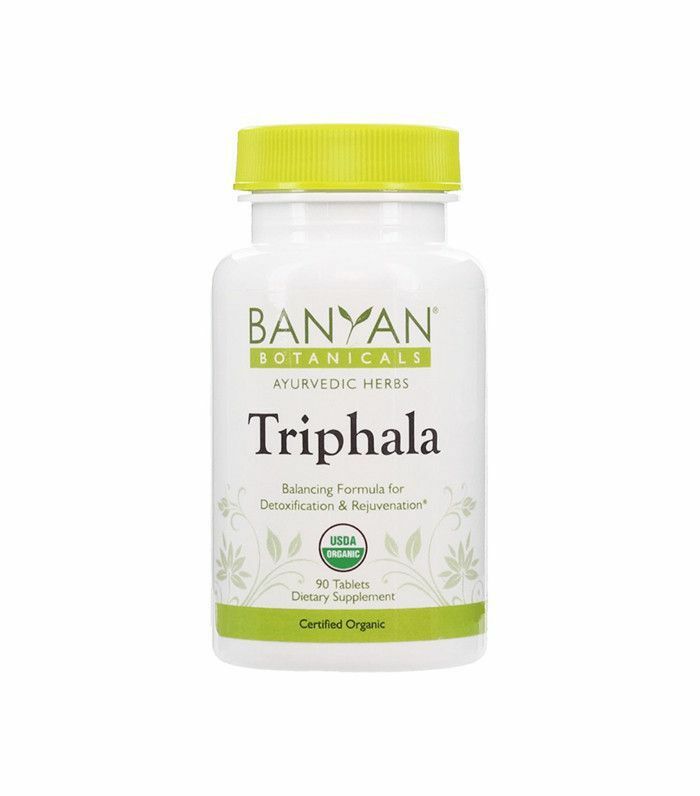 Holecek says triphala is a natural antioxidant that's very celebrated in Ayurveda. It helps with bathroom regularity, digestion, and the absorption of nutrients. "Ghee is probably the single best natural fat to consume," explains Nachman. What is it, you ask? It's a clarified butter simmered so that water and milk fat is removed. It's without any lactose or casein, but rich in short-chain and medium-chain fatty acids. "When we give our body healthy fats, it releases toxins from deep within the tissues and moves them to the GI tract for elimination. 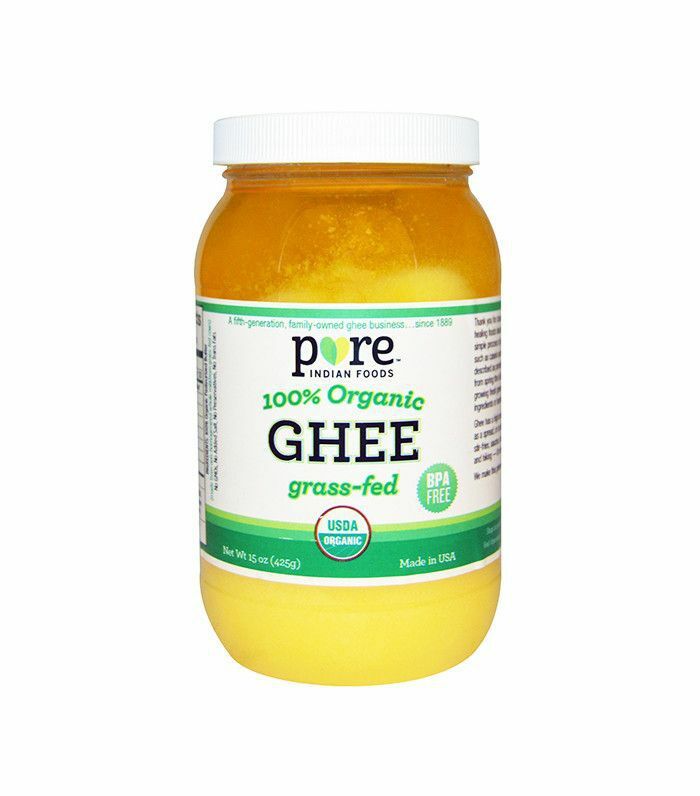 An added benefit: the nutrients in the food that we cook with ghee will be even better assimilated and absorbed into our bodies because many nutrients are fat-soluble," she says. Daily oil massages are a classic ritual in Ayurveda. Doing so release toxins from the tissues, moving them to the GI tract where they can then be eliminated, according to Nachman. The Kapha Detox Body Oil ($36) is specifically formulated for daily detoxification, using ingredients that stimulate movement and circulation, moving deep-seated toxins out of the tissues. She suggests applying oil in an upward motion to the limbs, and in clockwise circular motions around joints and on the abdomen. Nachman says it's important to eat foods that are easily digestible when you're undergoing an Ayurvedic cleanse. Kitchari, a popular cleansing dish of rice, Mung beans, ginger, etc., alkalizes and purifies the blood. Because gut health is the center of Ayurveda (without proper digestion, there's room for disease), you can either go on a cleanse eating nothing butkitchari for a few days (at your doctor's discretion) or pair the dish with other clean eats if you can't stomach a solely rice-heavy diet. Carefully pick over rice and daal. Wash each separately in water. Add the 6 cups of water to the rice and daal and cook covered until it becomes soft, about 20 minutes. While that is cooking, prepare any vegetables. Cut into small pieces. Add the vegetables to the cooked rice and daal mixture and cook 10 minutes longer. In a separate saucepan, sauté the seeds in the ghee until they pop. Then, add the other spices. Stir together to release the flavors. Stir the sautéed spices into the cooked daal, rice, and vegetable mixture. Add the mineral salt and chopped fresh cilantro and serve. Would you ever do an Ayurvedic cleanse? Tell us below!